Creative agencies and professional consultancies who want to stop losing money by overservicing clients. Teams who work collaboratively on multiple projects for multiple clients. Free 30-day trial & Startup plan. US$12/mo Standard. US$15/mo Premium. 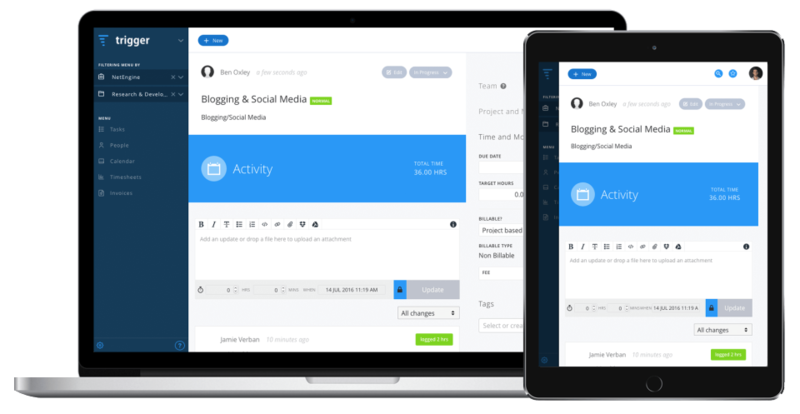 Pros: Trigger is aggressively priced and is great platform for companies (and their owners/bosses) who are skeptical or curious about the value of using a web-based platform to manage project, companies, time-tracking, etc... It gives us what we need right now and we've been very happy with the responsiveness of the Trigger team to answer questions and listen to our requests for new features or changes. They seem like a really well run company. Cons: No software will ever do everything you need as it was not custom designed for our companies purpose or our unique operations. One of our biggest frustrations has been the ability to download more complete data from Trigger so that we can do more analysis and review in Excel / spreadsheets rather than the website/app. On a positive note, Trigger has listened to this request and they have been working on creating these solutions. 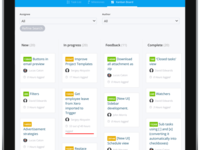 Nice project management tool gaps in a few places, but the team are working hard to build out. Quick and simple to set projects up. Time tracking is easy and quick. Constantly adding new useful features. The product development team listen to requests and you can quite often have an impact in the future of product development. Integrates easily with lots of useful third party systems and apps. Cons: Billing setup is slightly convoluted. Invoicing is not simple/sometimes hard to generate correctly. Resource allocation/management is not the best out there. Overall: Simple time and resource management. Decent features, excellent integrations, non-existent support. Cons: Abandonware level support. The only support I was ever able to receive was when I initiated by finding the phone number of the parent company in Australia and calling. I will say, they were completely lovely and helpful via phone and the couple followup emails. But after, total silence. In the end, I can't risk logging hours in a system with no support and we're moving to product that prizes it. 9/21/17 - Found the phone number for the NetEngine (parent company) office and spoke to customer service, who was lovely and incredibly helpful. Finally got some answers, an apology and an explanation that someone was on vacation. 9/22/17 - Support sends me an e-mail followup from my conversation with the person. My primary issue was resolved at this point. No responses or followups to Kanban bug or Project Owner emails. Overall: It challenged my understand of my needs and helped me re-prioritize what I actually needed in a replacement service. Fantastic - easy to use, clean interface, has improved our workflow. Pros: Love the look and feel of it, integrates well with Xero, Google Suite and it's easy to use with clients and contractors as well as regular staff. It has made working with teams across timezones very easy. Overall: higher productivity within our teams, greater client satisfaction because they like the transparency Trigger offers, but at the same time we retain control of some information. Fantastic ease of use, and also integration with key software that our team uses - xero/google. Very intuitive and great support - We have used similar programs a few in the past. Pros: We are a graphic design studio and Trigger is an excellent fit for us, it connects seamlessly with our accounting software (Xero) and makes it very easy to invoice at the end of the month as apposed to a few other programs we have tried. Cons: We have used other software that has a desktop timer which makes it a lot easier to time jobs as we have a lot of small 15 min jobs and this feature is sorely missed. Trigger have announced that they are developing this feature so we look forward to this in the future. Overall: Streamlined the job timing and invoicing process on a small to medium Graphic Design team. Pros: Trigger is very easy to use and is perfect for digital agency such as ours. We like how it is being developed and improved in response to requests. Cons: I can't think of anything I don't like about it. 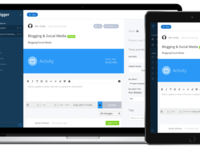 Trigger suits our needs for a account/task management software perfectly. Cons: Some limitation on the project management and planning/budgeting functionalities when come to proposal assembling. Pros: I have a small agency in Bolton, UK and have been looking for a time tracking tool which is easy to use and can be used without massive training or learning. There were a few bits I had to speak to customer services about but these became obvious it was me in a rush rather than the software. Cons: It would be nice to have the option to download reports in a pdf format and white label them. So it's a bit easier to send through to clients at the end of the month. However, this is a minor thing I think would be a good addition. The most user friendly time tracker and project management tool I have ever found. Pros: Ease of use, reporting capabilities and amazing customer service. It is the first time I've found a tracking software that differentiates between employee and contractors, which is what i have been looking for 2 years now. Thank You Trigger! Overall: Accurate and timely client and contractor billing. Ability to manage project timelines to ensure project completion. Our team enjoys every aspect of this software, and finally, use it every day. Trigger has made my invoicing and contractor payments seamless, allowing me to invoice regularly with a click of a button. Cons: There is nothing that I can think of. Overall: After having tried out more products than I wish to remember we finally found Trigger. We tested it out and right from the beginning we liked it. It suited 90% of our needs. When we mentioned this to them they added the feature that was missing within a week. 100% Customer Satisfaction. Comments: Out of everything I've tried, which is basically everything there IS, Trigger is the only one that nails the UI and my staff is able to use it pretty much effortlessly, even the non-techie ones. Trying to get a team to adopt anything new is like herding cats! With Trigger, it's just so easy to understand that they just adopted it pretty much naturally. 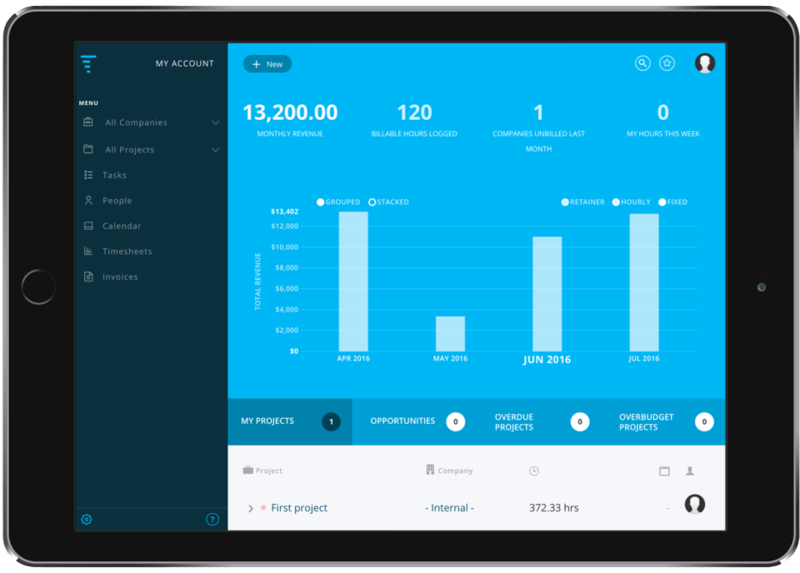 Pros: The look and feel of the interface is good - it's one of the better-looking project management solutions. Cons: Keeping track of tasks that you're involved in but are not currently assigned to is difficult. The control over notifications is not granular enough - you either get excessive useless notifications or you are left out of the loop. 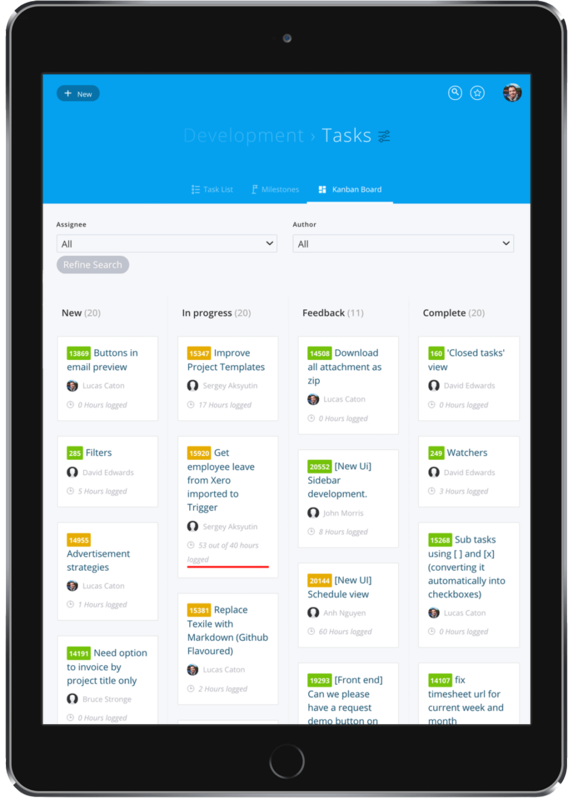 Comments: This is a brilliant app that seamlessly helps you manage clients, projects and tasks. It has a great dashboard that gives you an easy to understand overview of your projects. 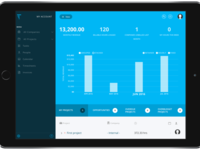 It integrates into our accounting package ( Xero ) and pushes invoices across at the click of a button. You can keep an eye on your budgets at a project level or a company level. The timesheet function is great for a business owner as no time will go unbilled and your resources are all accountable for their cost of seat. Comments: This is a fantastic way to stay organised, keep on top of multiple projects, and even your own to do list. Being able to add users to projects, takes away email conversations, and keeps everyone up to date on how things are progressing. Issues are kept in one place, and nothing is missed. Trigger App has helped me better assess how long various projects take, meaning we can price our services better. - Excellent. Cons: I've found nothing that I don't like about this App.